Schola Nova brings the Venetian glory of Vivaldi's Sacred Music to Philadelphia. 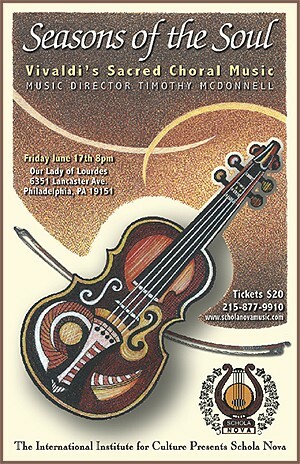 The concert will be packed with fresh works, many of which will receive their Philadelphia premier. Explore the rare treadures of Vivaldi's Choral Music with Schola Nova.